Honicel paper honeycomb is well suited as a core or spacer to create a sandwich panel composite. Honicel paper honeycomb provides a physical property feature of exceptionally high stiffness at a very low composite part weight. 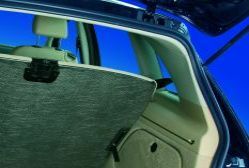 Honicel paper honeycomb filled composite constructions are becoming more and more common for sunshades, spare tire covers, trunk plates, door trim panels, hat boards and roofing. Honicel paper honeycomb is an appropriate core in natural fiber-reinforced polyurethanes, as well as, in glass fiber-reinforced materials. 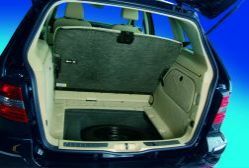 The use of Honicel paper honeycomb contributes effectively in weight reduction, being very attractive to car manufacturers as well as their first-tier suppliers. Honicel paper honeycomb can be used in various thicknesses for specified applications; this will consequently lead to required physical properties of the sandwich panel composite. The combination of Honicel paper honeycomb and natural- or glass fiber-reinforced polyurethane systems, produced in a simple and efficient process has already resulted in a progressive alternative material for top-quality lightweight automotive components, which represent a good value for money. Specific automotive applications of Honicel paper honeycomb demands an extensive understanding of technological features and applications of paper honeycomb. Honicel will be, pleased, to be at your service in a strategic co-operation at the development of applications of paper-honeycomb in your sector.